Chemokines are small chemotactic cytokines with molecular weights around 8–10 kDa that are capable of inducing directed chemotaxis. Four cysteine residues in conserved locations result in a compact 3-dimensional structure. Based on the spacing of the first two cysteine residues, chemokines are divided into four families: CC chemokines, CXC chemokines, C chemokines, and CX3C chemokines, where C represents cysteine and X represents any other amino acid. Chemokines function by activating specific G protein-coupled receptors resulting in migration of inflammatory and non-inflammatory cells. The pro-inflammatory chemokines are responsible for migration of immune cells to the infection site, while the homeostatic chemokines are responsible for recruiting cells for tissue maintenance and development. The Chemokine Panel 1 (human) Kit provides assay-specific components for the quantitative determination of eight CC chemokine (eotaxin, MIP-1β, eotaxin-3, TARC, MIP-1α, MCP-1, MDC, MCP-4) and two CXC chemokine assays (IP-10, IL-8). 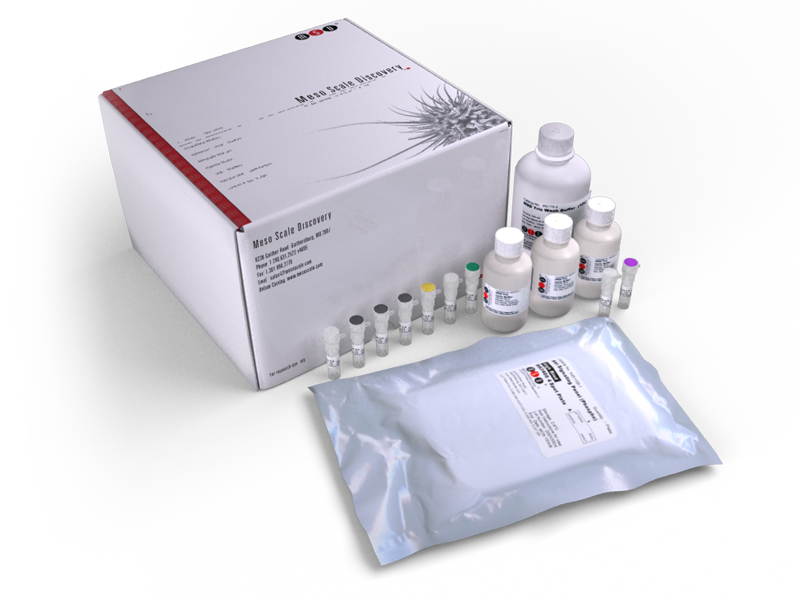 This kit may be used for the analysis of all or any combination of these chemokine biomarkers in cell culture supernatants, serum, plasma, and urine.